I made this Salted Pretzel Coconut Toffee one day in a pinch when I needed to bring some goodies and had hardly any food left in the house. I hate grocery shopping, so that happens a lot. My family is always moaning about the lack of food, but I think they should be impressed that I manage to whip up meals out of practically nothing. Nobody appreciates my gifts. I know we are supposed to avoid sodium and sugar, but if it is so wrong, why does it taste so good? 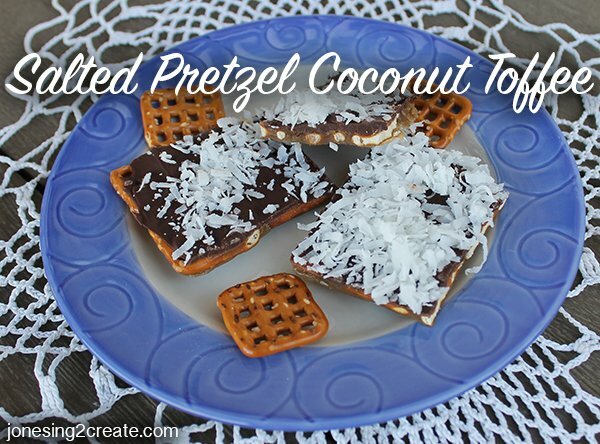 The salty, sweetness of this Salted Pretzel Coconut Toffee is totally addicting. My kids hate coconut, but I love it and it is my insurance that they don’t eat this all before I do (cue wicked laughter). It is super easy to make and there is a good chance you already have the ingredients in your house, so whip yourself up a batch and let me know what you think! 2. 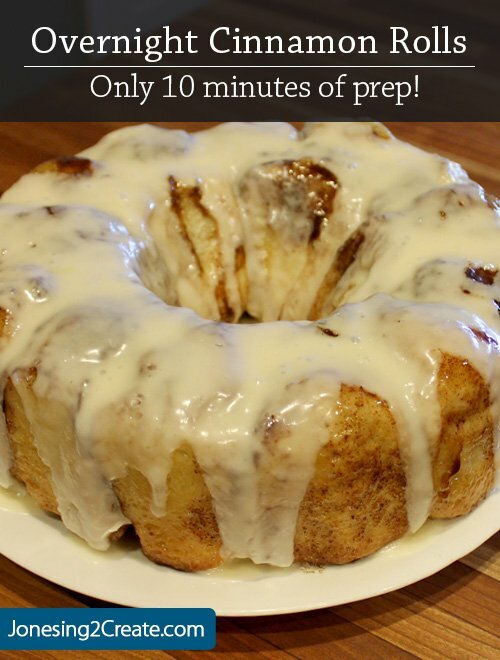 Line a large jelly roll pan with aluminum foil and spray with nonstick spray. 3. 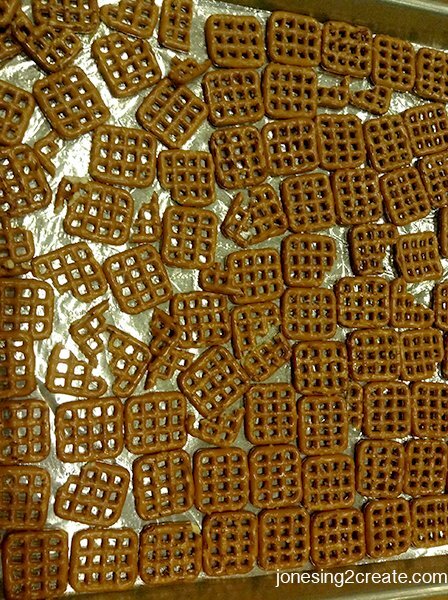 Arrange the grid pretzels so that they cover the bottom of the pan. 4. Melt the butter in a saucepan over medium heat and then mix in the brown sugar. Bring to a boil and allow it to boil for 3 minutes. 5. Remove the saucepan from the heat and immediately pour the mixture over the pretzels. Spread the mixture over the pretzels so that it covers them evenly. 6. Bake the pretzels and mixture for 7 minutes. 7. Remove from oven and sprinkle the chocolate chips over the pretzels, allowing them to melt. 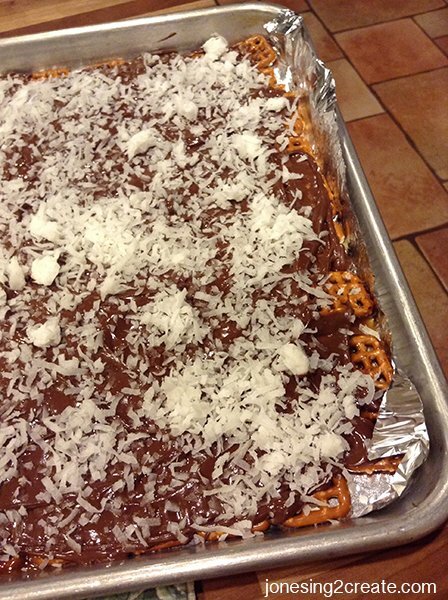 Once they have softened, spread the chocolate evenly over the pretzels. While still melted, sprinkle with the coconut. 8.Once it has cooled a little, place in the refrigerator so that it they will harden. 9. Once it is hardened, break it into smaller pieces and store in an airtight container.